After months of overindulging, January typically arrives with a slew of guilt and a waistband that is screaming for mercy. Since many people turn to a low carb lifestyle to get their sugar cravings under control and lose those extra pounds, I thought I’d devote this week to some of my favorite low carb recipes – starting with these delicious keto cream cheese pancakes. Whenever I resort to low carb diets like keto or Atkins to lose weight, the toughest meal for me is always breakfast. There are only so many eggs you can eat before you are looking for something different. These keto cream cheese pancakes are a welcome treat in that case. Even if you aren’t watching carbs, these are also an excellent option for those who are gluten free as they contain no grains or flour of any kind. Cream cheese, eggs, your choice of sweetener – maybe a pinch of cinnamon. And they are super easy to make. I usually whip up a batch of these low carb cream cheese pancakes in my trusty magic bullet, and it takes less than a minute to make the batter. A surprisingly satisfying low carb substitute for the real thing that tastes like skinny fried cheesecakes! Even if you aren’t watching your carbs these keto cream cheese pancakes are a delicious departure from the traditional doughy stack of pancakes. And you won’t have the sleepy feeling that usually comes afterwards! Some people have had trouble making and flipping these cream cheese pancakes, so we made a 60 second recipe video with a few key tips for success that will have you making perfect stacks every time! I didn’t have a sweetener on hand so I made them just using eggs and cream cheese. It worked great! I love them!!! I found a little pancake ring and just staring at my pancake stack thrills me!! Thank you for an easy yummy recipe! Melissa, I followed your recipe to a T, (except omitted cinnamon). Watched the video. Let it rest, timed the cooking for each. Used a 1/3 C scoop and it made 4 7″ pancakes. Absolutely delicious! Served w/ sugar free maple syrup and bacon. Hubby and I shared one batch. They flipped easily, I wipe the pan each time, then added more butter. I may have had the burner too high, and will cook lower next time. Winner! Your recipes are so thorough! If people follow, they’ll have success. We started Keto mid Jan and are enjoying everything we eat, and always feel satiated. Now starting to add more recipes for things we don’t eat anymore. Last night I made your Snickerdoodles for the first time, Yummy! Thank you! Wow these were amazing! Just started your 3 day keto kickstart meal plan after falling off the keto wagon for a couple weeks. These were beyond amazing!! Thank you for sharing! This recipe was delicious and perfect for filling me up in the morning!! Just tried this recipe and it was delicious! It far exceeded my expectations. Next I am going to make it without the sweetener and use them as wraps for quick lunches. I did this and it works! These are FANTASTIC! I’m not really a breakfast person so I usually skip that meal. But, I love these as my dessert in the evening. These are really good! I didn’t what to except but was overwhelming surprised- they taste like french toast! Definitely going to be a staple item for me! Thank you! My family says these taste like French toast. I make without cinnamon or sweetener if I’m going to use them as a wrap for savory. It took a while to get the trick of flipping them, as they are on the thin side. For me, a non-stick frying pan, a tiny bit of butter before adding the batter, and using a heat resistant silicone spatula to go around the edge before flipping with a turner spatula made all the difference. Just made these for the first time. They were excellent. I used 3 packets of splenda for the sugar. They were delicious. Can not wait to try the crepes next! Thank you for your recipes! These are really good! 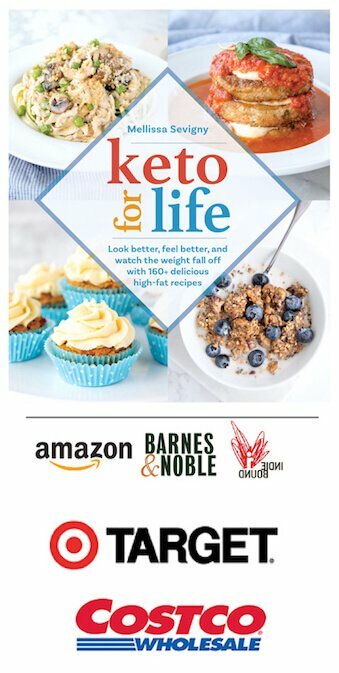 Thank you for helping my keto journey get better!! The pan needs to be well heated and the bubbles need to settle before you pour. Wonderful recipe!!! Love them!! Maybe it’s a regional thing, but in Midwest USA my Philadelphia original cream cheese is < 1g per once. It's the only one I've found in a year of searching that is less than 2g. They recently changed the recipe back (right after I changed this post to say 2g per ounce unfortunately) which is a good thing. I’ll update the recipe. I am not good with cooking pancakes, BUT i am great making waffles! These were perfect in the waffles maker. I use avocado oil and they were fluffly. Gonna split it in 1/2, fry a couple of eggs, and 2 slices of bacon, slice of pepper jack cheese and make a breakfast sandwich. Thank you for sharing!!! I also used a waffle iron, perfect! Taste like french toast. YUMMY!!! Do you have a specific brand that you can recommend that is lower in carbs? Unfortunately not living in the states it’s hard for me to see what’s available there – also companies change their recipes (Philly used to be 1g per ounce) so even if I had one now, it could be different in two months. AND depending on where you live in the US, or what store you’re shopping in, the brands vary widely. Your best bet is to read the labels where you shop and choose the one with the least amount of carbs. I have been just loving these pancakes. You’ve got a real talent so I’m going to use my positive experience with this and buy your book for more! I posted a question but I haven’t seen it anywhere which of course means I don’t see the answer. Please help me understand the Carb count on these pancakes. My cream cheese (store brand) are 4 net grams alone even before adding the eggs. I would LOVE them to be only 3 grams but I don’t know how to come up with that figure. Thanks for your help and your great website. Some store brands and organic cream cheeses still have only 1 gram per ounce – but if your preferred brand is 4g then go with whatever you’re using as the correct number! Thanks. I will read all the brand labels next time. These were great. Added some blueberries. So great to have another option other than eggs, avacado and bacon! Annie, the serving issue has been addressed previously. If you can’t be bothered to scroll, the short version is this: The macros provided is for the entire batch. Simply divide the macros provided by how much of batch you consumed. This is part part due to the range of size of pancakes/crepes each person makes and eats. Wow. Actually, truly, really fast and yummy. I like a crepe-style-pancake to begin with, so this was a perfect substitute…I wouldn’t even call it a substitute, I would call it a pancake. I was worried that the egg flavor would come through, but it did not at all. I followed the recipe exactly, although I fried mine in coconut oil (like I do with the regular family pancakes). 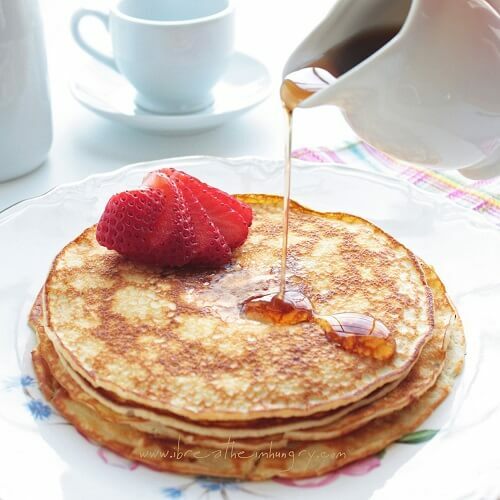 It is funny that, solo, the pancakes taste ehhh and the syrup tastes ehhh, but together they are perfect. I used the cheapo Publix sugar-free syrup. At my heart, I am a pure-maple-syrup-kind-of girl, so I was pleasantly surprised at how fantastic this all tasted. Thanks Kelly! Trustworthy recipes is what I’m going for so that means a lot! These are soooooo good and sooooooo easy!!!! Thanks for this Awesome recipe !! I am so happy to have something this good to eat for breakfast other than Bacon and Eggs. Awesome! I’ve been doing Atkins and woke up this morning craving pancakes. Tried this recipe and couldn’t believe my tastebuds!!! Thank you for coming up with such a delightful and easy recipe! Excellent taste. I made with soft cream cheese and they stuck to the pan. So next time I will make with the hard cream cheese. Also I added blueberries and it made the batter a little runny. Next time will put the blueberries on top with whipping cream. Absolutely delicious! I followed the recipe exactly and watched the video first, and they turned out perfect. I am so happy to have found another breakfast recipe for keto. Oh my goodness, these were wonderful. I wasn’t expecting them to taste this good. Thank you thank you thank you. 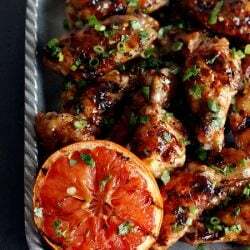 One of my favorite all-time recipes!! Omg! Tried this recipe as the kick off to Keto… DELICIOUS! It’s like an omelette and French toast had a baby!! I love this recipe! 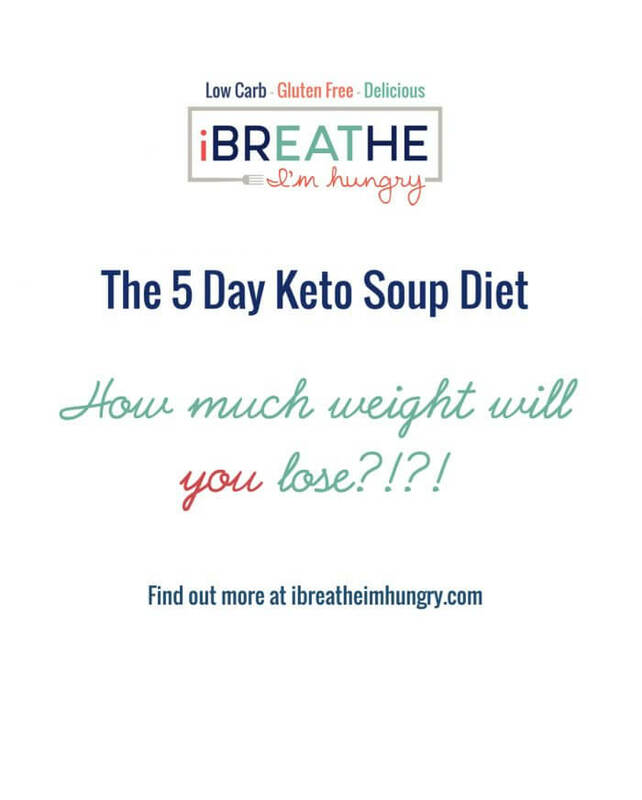 When I started keto, I was worried that there was going to be so many foods that I would no longer be able to eat. Pancakes was one of them. Who doesn’t like getting up on a Saturday or sunday morning and enjoying some hot griddled goodness? Enter this recipe! It was a keto version for pancakes and it’s delicious and satisfied my cravings for pancakes completely. Now it’s a staple in our diet. Love these “cheater” pancakes. It really helped to watch the video – at least for me!!! I love the taste and I can make them a bit crispy! I simply use blackberries or strawberries as my “syrup.” Oh yes, and butter! Five Stars!!! These pancakes were a lifesaver while I did the egg fast. So easy to make ahead of time for quick meals or snacking, and so yummy! I finished my egg fast with 5.5lbs lost :) I plan on using this recipe weekly to help keep me on track. Thank you, Melissa! While it took a while to get the flipping perfected, these are amazing! I have used them for blueberry crepes, breakfast rolls and as just pancakes. Next up…Monte Cristo Casserole! 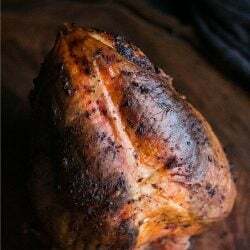 Thank you so much for a great recipe that even my non-keto kids LOVE! Girl! You have made my morning. 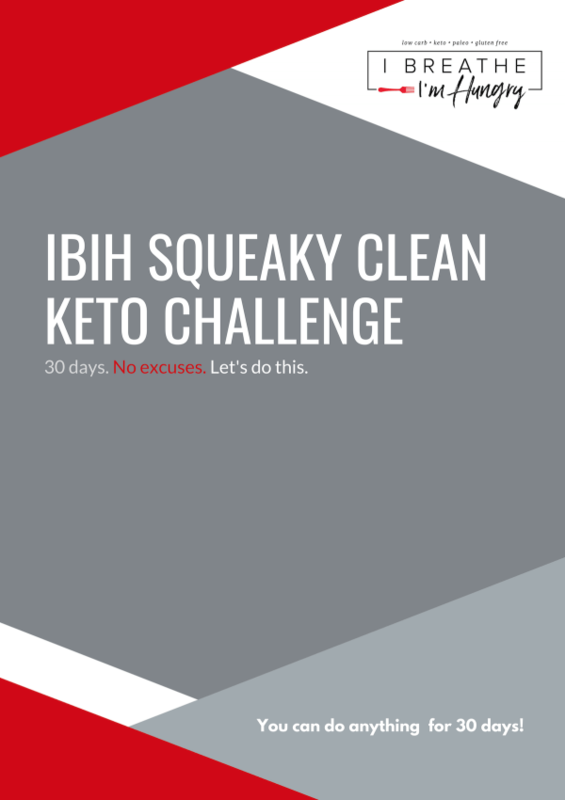 I’m in with Keto since May 17th. I came across your recipe trolling for meal ideas. I’ve never been a huge pancake person…. too much dough! I read your recipe instructions 3 times to make sure I knew what I was doing. I cooked the first one a little to long on one side. Practice makes perfect right? . I added a little butter on top and then some sugar free syrup. These little beauties are the bomb.. Does anyone really say that anymore? Thanks for this great recipe.. . So simple and delicious! This is one of my favorite go-to breakfast meals. I usually make a couple of batches so I can have leftovers multiple days instead of making them over and over throughout the week. One of my favorite go to recipes. Thank you! I use no sweetener, a tsp of cinnamon and top with sugar free syrup and sprinkle on more cinnamon. Yum. I’ve forgotten the cinnamon in the batter, still yum. I just started being able to eat some with just butter, couldn’t do that at fury. I’d like to drop artificial sweeteners totally someday. But limiting for now. How many pancakes is a serving? It says 4 pancakes, and recipe makes 4. So, that means we can eat the whole batch, right? 😎 I believe the calories should be correct, cream cheese, 100 cal per oz x2, eggs, 70×2, apx. looks like the about whats listed. Have not tried as wraps, but since I’m just starting your meal plan it looks like I will be soon. Thank you for all the work you put in to post healthy and yummy recipes and meal plans Melissa, it is very much appreciated love the shopping lists, too! So helpful! There is no fiber in Cream Cheese or Eggs so unless I am going about this the wrong way net carbs and total carbs would be the same here. Love these! Easy to make and a break from eggs every morning. These really were delicious. My husband loved them so much I ended making another batch. When I plugged in the ingredients to My Fitness Pal app, it came up with net 13g carbs! I used Philadelphia cream cheese and Kirkland eggs. So not sure where you’re coming with only net 3g carbs?! Obviously with those ingredients there is no way it’s 13g net. MFP is wrong, which it is most of the time. I am on Day 3 of Egg Fast and I’ve tried adding the ingredients for the Cream Cheese Pancakes into MyFitnessPal and it comes up with 379 calories and 16 grams of total carb (8 g net carbs). What am I doing wrong? Your stats say 344 calories and 3g net carbs. It’s just not adding up! MFP is wrong a lot of the time. What am I doing wrong ? Mine tasted nothing like a pancake…. More like egg soufle?? Yuck.. I used it exactly…. What syrup do you recommend? Can the batter be prepared the night before? I’m so glad you added into your reply that you can freeze these, because that was my question. Thank you so much for preparing these meal plans and posting them along with the recipes. Aaaaaaaamazing!!! Thank you for sharing. I made this recipe today for the first time, to have with our Christmas brunch. A risky move! I followed the recipe except I didn’t measure the cream cheese exactly. It was probably slightly more than 2 oz. I microwaved the cream cheese for about 10 seconds before putting it in the blender with all the other ingredients. I then melted butter in a large sauce pan and poured my first pancake. I soon realized I need to make these on the small side, in order to flip them successfully. This batch made way more than 4 pancakes. More like 10! 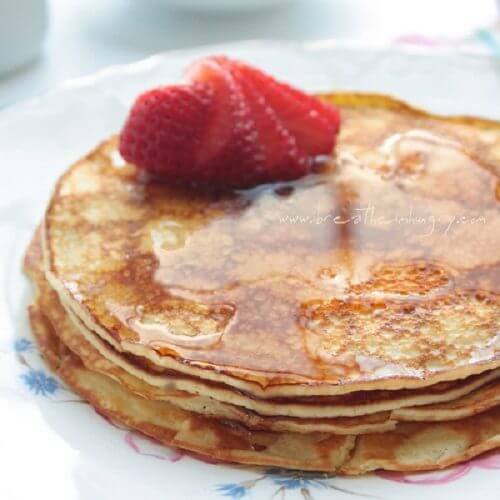 Small, thin, crepe-like yummy pancakes. I am very happy with how these turned out and I’ll definitely make them again. Well I made 3 little “normal” size pancakes, and then one GINORMOUS entire-skillet-sized pancake, but there WERE four pancakes! LOL! They are indeed delicious, and I think using the “roll and dip” method, I only used about 1 tsp of Cary’s sugar-free syrup with them. Truthfully, the butter makes them good enough to do without syrup. I doubt I will eat them often, at least at first – because if you count as assiduously as I must, these come up with 9 carbs (I have to count at least part of the sugar alcohols), more than 1/3 of my daily allowance (to be fair, 6 of those are in the syrup and I only ate maybe 3 of those)) They are, however, INVALUABLE if you need a break from eggs on an egg fast. :) Both of my thumbs are UP! I’m trying to incorporate more LCHF meals for my daughter who is on the cusp of type 2 diabetes. I am SO glad I found this recipe. SUPER EASY. Clean ingredients and DELICIOUS! She has had them twice in a week and asked for them this morning again but I had to come into the office. She loves them, I love them and her friend who stayed the night loved them. No nasty syrup needed! Some of them I throw some fresh blueberries in. Good for the heart. THANK YOU! I just devoured an entire batch of these while attempting to read these comments. Didn’t make it 1/4 of the way through the comments, but the pancakes are gone. Fantastic!! Our local, small grocery store doesn’t usually carry specialty products, but a couple of weeks ago they had some of the Waldens low carb pancake syrup and I had picked it up. These are game changers for sure. Hubby had to leave for work at 2 this morning with no breakfast, but guess what he is getting tomorrow morning? Thank you so much for this recipe. Theres also the fact that the numbers are ALL WRONG. I put these ingredients into my fitness pal app and it added the whole batch to be 95 calories, 7.4g fat, and 4.1g protein….very wrong and far from what u said! Don’t laugh, but I have been adoring these pancakes, despite having the worst time trying to flip them, LOL. My husband also adores them, despite them looking not quite perfect. :D I have to ask, how long did it take you to perfect flipping them??? So far I’ve tried them twice on my griddle which we discovered that after years of use is now crooked, LOL. I do them now in an omelet pan and I have to say every other one turns out really nice. Totally not the recipe, but rather me being too impatient. I will learn to perfect them yet! I made these and my family loves them!!! !1 my questions is regarding the Net carbs when I add the ingredients up it comes up to 8 net carbs your summary says 2.5 … I love your calculation more . Am I adding wrong I show 2 carbs for the eggs , 4 for the cream cheese ( I used Philadelphia ) and 1 for Stevia and 1 for Cinn. .. are there better brands to use? I mentioned to a friend that I made these pancakes, and her response ws that they can’t be pancakes as they have no flour in them. I disagree, as I thought they were great. After all, they are a (sort of) cake made in a pan. Made these and really enjoyed. Then echoing, one of the other reviewers, added a tablespoon of coconut flour, and that amp’d them up a bit giving them a texture closer to a normal pancake. Very new to this low carb thing and have loved your site for ideas–thank you for all of your hard work! I made these pancakes this morning adding a little bit of lemon juice and vanilla and served with butter and a little bit of sugar free all natural raspberry jelly and fresh berries. They were delicious! They seemed very fragile though so I’m not sure how they would work as a wrap for sandwich fixings. I use them as wraps all the time Jen, not sure if the lemon juice you added broke down the structure a bit if it made the cream cheese curdle, but otherwise they should be pretty sturdy once cooked! Made these for my husband who is diabetic and was craving pancakes and they were fantastic! I added a tsp of vanilla extract, tsp of cocoa powder, tsp of coconut flour, and a ripe banana. He loved them and asked if this could be his weekend staple! Just a quick comment on this one … if you’re trying to save carbs (and that’s the point of this recipe) don’t use banana. Bananas are never low carb. These pancakes are delicios with berries though. I made them last night and also had a hard time flipping them. Now I see that you make them much smaller than mine. I tried filling the whole pan and that was a disaster, lol. These were very delicious!!!! I was very surprised thatI would actually like them. Of course at first I flipped it right the first time and then wasn’t paying attention and it was a little burnt on the other side but the other ones came out kinda looking great. I will continue practicing to get my flipping down right. I used Stevia in the raw (yuck), it always gives me an after taste but it wasn’t too bad this time. I also found sugar, calorie and carb free syrup (Walden Farms pancake syrup). Loved these! Thanks so much for the recipe. These are yummy! Going to make me a double batch for breakfast in morning and Saturday! I haven’t made them in a while. U don’t even miss bread when u eat these! Wow, these are so good for how simple they are to make! I whipped them up this morning before work, and it was BOMB! This recipe is MAGICAL! It’s the perfect touch and taste of “pancake” to feel like I’m eating carbs. I use a little of my pure maple syrup and just go to town. Amazing. I changed the recipe, though, because I ate the whole recipe the first time around and realized I’d just eaten A HALF OF A BRICK OF CREAM CHEESE. Not good for a girl without a gallbladder. SO…I use 1/4 C of Greek yogurt instead of cream cheese (yogurt and hard cheeses have the least lactose, and are therefore more tummy-friendly), and a tablespoon of whole flaxseeds, whip them up to a frenzy, and let them sit for 5-10 minutes to let the flax congeal and thicken the mixture. It’s hard to flip without breaking, but delicious NO MATTER WHAT HAPPENS. This is ALL THE THINGS. I love these pancakes so much, I wanted to share the way I’ve been using them. I whipped up a filling of cream cheese with Splenda and imitation maple extract. I warm up two pancakes, spread them with about a tablespoon each of the filling, then roll them up and eat them. They’re soft, warm, satisfy the urge for something sweet and comforting, and the spread only adds 2 grams of carbs (a lot less than SF maple syrup!). I’m sure other flavors of extract would also be yummy! I recently came across your site and I absolutely love it. I now get most of my family meal recipes from here! My husband and I agreed to put our entire family on a low carb food lifestyle as a few members of our extended family have been diagnosed with diabetes (despite being healthy weights). Everything I make from here my husband and kids enjoy – your site has made the transition for us seamless and I just wanted to say thank you. I tried this recipe today because my kids are just becoming too accustomed to carbs, CARBS, CARBS! The pancakes didn’t taste like eggs OR cream cheese but with a little syrup added, they were okay. Then I added about 1/3 of a package of corn muffin pancake mix to experiment. The mix added a tiny bit of extra flavor and a tiny bit of extra body. Considering the 4X amount of protein and the 60% reduction in carbs PLUS the fact that the kids ate ’em up, I’m please with the outcome. I added half a teaspoon psyllum husks (didn`t have the powder), half a teaspoon of gram flour and a quarter of a teaspoon baking powder. I poured it into an oven prove dish (oiled with coconut oil) and topped it with 50 gram of frozen raspberries. It was delicious. Half the portion is perfect as a kind of dessert after a “normal” keto meal, or with my afternoon black coffee. I`m on keto for only a week and today was my first day I am actually feeling good. So I guess I must have conquered the keto flu, finally. Been researching easy recipes, especially the sweet ones, as I have a rather sweet tooth. Since making those little treats, I don`t feel like I`m actually on a diet. The fat is the whole point to this. It’s Keto. I made a double batch (doubled everything except the sugar substitute) in my food processor and they came out great! Hi Melissa! Thanks so much for this recipe!! When I was a kid my dad and I made silver dollar pancakes from a buttermilk pancake mix, which adds some water, milk, and extra egg to the batter to make a thin, crepe like pancake! We always put butter in the pan to cook them too for extra deliciousness. And I have to say, these were VERY spot on!! I used Walden’s Sugar Free Carb Free maple syrup, but I didn’t need much. I have to ask though, how do you calculate your carb count? Eggs have .6g each, and cream cheese is 1.2g per oz, so wouldn’t the total be 3.6g carbs? I know you got a TON of comments, hoping you’ll have time to answer this one! Thanks again!!!! Holy crap! These taste AMAZING! I usually hate the taste of sweetener but these pancakes were awesome. Currently eating as a wrap as suggested in the 3-day meal plan for keto and still delicious. The only issue: it was a little tricky to flip without breaking, but my bf quickly corrected this by turning up the heat a little and about 2 minutes on each side was right/they weren’t breaking anymore. They are a little flatter than traditional pancakes but they make up for it in taste! I am impressed and excited to have these as an option on our keto journey. I’m also considering trying these as tortillas! (Not sure if there’s already a recipe that has done it.) Thank you so much Mellissa!! All I can say is AMAZING!!!!!!!!! I use my magic bullet and it works awesome. Made these this morning and turned them into crepes with ricotta filling and fresh berries. Yum. Thanks Mellissa! I add a little baking powder to mine and they puff up nicely when cooking. I don’t use any sweetener or cinnamon and they come out great, they even work in a waffle maker. I am in love!! These are sooo stinkin’ good! We make a lot of ethnic foods at home, so I think I may replace the cinnamon with some Savory spices and use them in place of tortillas next time we have Mexican. Oh the possibilities…. I made these today and based on the comments I read, I added 1/3 cup of Carbquick to the batter. They held together fine and they were delicious! *eye roll* Seriously dude? You obviously haven’t been on Keto very long, because if you find another more yummy ‘Substitute for pancakes’ with less carbs, then you should share it. But calling this “disgusting” is dramatic and rude. Mellissa’s response was so gracious despite your idiocy. These are amazing! I didn’t have a bullet mixer and had trouble getting the eggs and cream cheese to blend smooth the first batch using a hand mixer. Second batch I heated the cream cheese in the microwave then beat with hand mixer till fluffy/creamy and THEN added eggs etc. perfect. Love love love these thank you!!! I made these this morning, and will be making them again. Didnt taste like pancakes to me, but it did taste like french toast, which is better! Easy to make and pretty filling. I will likely experiment with changing the recipe a bit. I just made these and ate them myself. I am on my 5th day of low carb and I am REALLY craving sweets. ANYTHING would do. Lol its super tough when my fiance is skinny and can eat what he wants. Anyway, these are similar to regular pancakes. They are more egg-y that normal pancakes and kind of remind me of an omlet. But they’re good. I also added 1 tbsp of baking powder, and whipped some heavy cream to put in the batter. I cooked some bacon as well, and poured the batter over strips of bacon. I put some homemade whipped cream on top and they were good. I’ll be making these again, but I’ll add a good bit more stevia to make them really sweet, since I can’t have (and don’t want to make) healthy syrup. You want all the fat you can get so I strongly suggest full fat cream cheese!! Are you kidding me? These are amazing. Love love! Thankyou! Finally made these they were pretty good and satisfied my craving for pancakes..will be making these again. Super easy, quick, and tasted great!! I will be trying more recipes from this site. OMG Girl! You hit these cream cheese pancakes right on the head. I added a little more cinnamon and vanilla extract and they tasted just like cinnamon french toast. Sugar-free syrup I used was fiber syrup gold, tastes just like the real thing. Thank you so much for sharing this! So do you think it’s ok to use the Phillys 1/3 less fat cream cheese? That has 0 carbs? I know you want the higher fat but I thought maybe getting rid of the carbs would be better? I use a submersion hand held blender, works great! I love these keto pancakes. These are yummy! I used whipped cream cheese and put them in the ninja blender. So good! So glad I came across this recipe. I used the exact recipe except I used Philly 1/3 fat cream cheese. Used a Nutri Bullet to blend and it was so easy to throw all ingredients in the blender container. I used Truvia for the sweetener and Walden’s Farm No Cal No Carb Maple Syrup I purchase at Publix grocery. Very Yummy. I could tell by the batter that I was not going to get thick fluffy pancakes, but that was fine with me. I love crepes and these were somewhere in between. I just made smaller round cakes and stacked them, so they appeared thicker. While cooking them, something about the look of the pancakes reminded me of grilled cheese, so next I am going to make two of these without the sweetener and put shredded cheese in between. Trying to decide why other readers were getting an eggy taste, Perhaps the Walden’s Farm Syrup covered it up on mine, but I definitely did not get the egg taste. Thanks again ! Let me tell you, though, that first bite. Instantly sold me. I’m a believer. This qualifies as the best pancake recipe I’ve ever had, low carb or not. Made this tonight. So fast, so good!!! My picky kids asked for seconds! Hello. I am very impressed with your blog and can’t wait to try the cream cheese pancakes. Because of having to watch my carbs, protein and fat levels established from the Keto Calculator that you link to, I plug all of my foods into My Fitness Pal. When I plugged in the cream cheese pancake recipe, I got a different carb count than you have listed. When it’s close I just assume different brands of items but mine was a net 5 carbs. The protein was close at 16 but the fat came out to 23. It’s fairly easy for me to keep the net carb count low but I really have to watch the protein level. Maybe you can share where you go to calculate your numbers?? Thank you!! AWESOME recipe. LOVE it and will be making it all the time. So easy that I was able to make it for a quick lunch. I already made a second batch for dinner. I added a couple of teaspoons of psyllium husks to my second batch to make it a little more ‘bready.’ My husband, who hates eggs, even said it was ok and used it as a sandwich wrap. My second was sweetened and I had 1/4 cup each of raspberries and blackberries (very low carb for fruit) with a couple of teaspoons of heavy cream (too lazy to whip it :). Thank you – this is going to be a primary recipe for me!! These are so fabulous! They are a crepe consistency so I filled them with a mixture of cream cheese, vanilla, a couple crushed strawberries and sweetner. Amazing! I just ordered some Nature’s Hollow Sugar Free Syrup. Can’t wait to try your pancakes when it arrives. It’ll be a nice change from the scrambled eggs! I’ve already tried another pancake recipe with poor results. I have high hopes for yours! Iˇm in love! Excellent pancakes! I just made these and they were good! Definitely reminded me of French toast. For those who say the mixture is too runny, I think the egg size makes a difference. I had to add an additional ounce of cream cheese after mixing my ingredients because it was runny. I used extra large eggs. The next time I will use 4oz cream cheese for 2 extra large eggs. I also added a teaspoon of vegan protein powder, a pouch of baking powder, cinnamon, and vanilla extract. For syrup, I mixed a teaspoon of butter with a teaspoon of coconut butter, vanilla extract, and two drops of stevia. Next time I will add a teaspoon of blueberries to the syrup mix. Delicious!!! I read about these last night before going to work. First thing I did this morning when I got home was make them. I used one egg (which I separated) and 1 ounce of cream cheese. I beat the egg white til it was almost to peaks, then the yolk and the cream cheese, put them together and cooked them. They held together great. My flipping wasn’t all the good but it did not deter from the taste. Put butter, some splenda and cinnamon on them and they were fantastic. This will definitely be a keeper for me. I just made these! I actually am not a big fan of cream cheese but thought they looked delicious. They are ! Very filling and helps with the sweet tooth craving. It is very similar to a pancake , crepe hybrid. I couldnt get mine to look as pretty though. I am SO happy, now I can have something “carb-sweet” with out the over load of carbs !! These are AMAZING!!! Thanks so much for your awesome recipes !! These are really good. I forgot to add the sweeter and honestly didn’t notice. I halved the recipe since I was only cooking for me. For those who are having trouble, I let the batter set 2 minutes, buttered my pan and had no trouble flipping them. Oh my…I think my life just changed. I can’t wait to get home tonight and try this recipe. Just yesterday I was scouring the internet for a decent wrap that I could use for making my lunches…looks like I can use this for savory meat/cheese wraps which will make me much happier! And of course I will enjoy the sweet pancakes for breakfast, too! I only just found your blog today but I can see already that I’m going to be coming here a LOT! 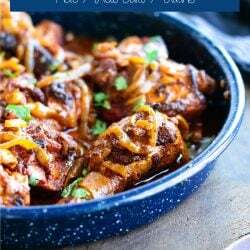 This is one of the few Keto recipes that my husband loves. We even make up a batch to precook for camping trips. Our favorite version makes a quadruple batch where we add a scant 1t vanilla, 1/2t salt, 1T coconut flour, 2T almond flour, 1t cinnamon (they only ingredient in the original recipe that is not X 4), and 1/4t nutmeg. Every one loves it! Thank you! These are the yummiest little morsels I have ever had,, I treat myself on weekends when I know I am going to be busy and not have time for lunch . The Pancakes with Bacon,, will carry me right through until dinner . Love love love them.. I only use a half pack of stevia myself,, but your choice . These are amazing! My husband does not normally even like pancakes and he loves these. These are so quick and so easy and are one of my favorite breakfast treats. Delicious. Read some of the comments and replies and followed to a “t”. Let the batter rest, pour into hot pan, flip in 2-3 minutes. Worked fine. I made 5 pancakes. And I ate them all!!! First day (again), and I took advice to heart – eat if you’re hungry. Put the ingredients into myfitness pal and it calculated a slightly higher carb count. Still not bad at all. Thank you for a great alternative! Had with turkey breakfast sausage and coffee. I’m really not sure how many pancakes i should be eating per meal? I provided the nutrition info per batch so you could divide by however may you eat if you don’t eat them all. How many you eat is really up to you! I HAD to make an account just to post a comment about these pancakes. OMG, these are incredible! I tweaked mine a bit by adding a scoop of banana whey protein powder, a teaspoon of vanilla extract and a pinch of baking powder. I also made mine in my waffle maker which was just awesome. The combination of cinnamon and banana was awesome and I actually had to stop myself from eating them by themselves while my bacon cooked. Next time I’m just going to eat them alone instead of adding butter and bacon as they were yummy on their own! Thank you for this awesome recipe! I’ve been making these for breakfast the past few days, and oh my gosh! They are soooo yummy! I use my ninja blending system’s single serve cup to mix everything up, and it’s perfect. I added a tablespoon of heavy whipping cream to the mix today, and it made them even a little bit fluffier. I cook them up in some salted kerrygold, and then drizzle more melted butter over them when they’re done, and layer Trader Joe’s crunchy flax and chia seed peanut butter for added fats and protein. It’s the perfect keto low carb, high fat way to start the day paired with heavy whipping cream coffee. Thank you so much for this recipe, Mellissa, it’s lovely! Thanks Ashley, so glad you are enjoying them! Honey, these pancakes were everything to me. I made about 12 and ate EVERY SINGLE ONE. I don’t think I even need a sweetener for these bad boys. I think Vanilla extract (some rally GUUUUUUD extract) can make this sweet enough for me. Thank you. I LOVE pancakes with every fiber of my soul. This brought me back to life. Now I just need to find a really good sugar free syrup. I used a really good regular maple and only used 1/2 teaspoon for dipping. OMG!!! I just found your site today. I’m in love with all the recipes already. I made these just now for lunch. I couldn’t wait for breakfast tomorrow…lol. These are excellent. I actually made 2 batches. One I made just as written. The other was an experiment… I had made a batch of homemade mascarpone yesterday. I had no idea what I was going to do with it, I just thought the idea of trying it was cool. The batter using the mascarpone was a tad bit thinner, but still very tasty. The mascarpone was softer than the cream cheese so it was no surprise there. I had a different recipe for cream cheese pancakes that had to be made using a mixer…. and although they were good, they were a pita to make. I LOVE this recipe. So easy in my little ninja blender. In no time at all I was eating my lunch today. I saved the rest for breakfasts. I used pumpkin pie spice in one batch and cinnamon in the other. YUMMY! Just on a whim… I tried a small spoonful of homemade sugar free dark chocolate ‘nutella’ spread over one pancake. That would make an excellent dessert. Maybe roll it up and add a dollop of whipped cream? 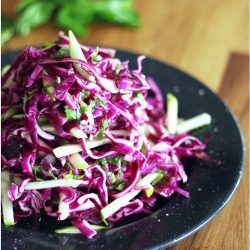 Thank you for such a simple and tasty recipe to help me get back on track. You’re the bee’s knees! I have found that Walden Farms Pancake Syrup tastes best to me. It is easy to find in our Meijer store, (mid west), but I have seen it on line and in health food stores, too. It has zero carbs, zero calories, and behaves like syrup. Hope this helps you. I just made these. They are SO good! Much better than CarbQuik pancakes, and far less ingredient-intensive. Thank you! So you make 4 from the recipe and you only eat one for breakfast and one at lunch? You can eat as many as you want, that’s why I give you the nutrition information as 1 batch. If you eat 2 divide by 2 to get the nutrition info for that meal, etc. Enjoy! I add a dash of sugar free vanilla extract and cook them on the griddle side of my panini press. It’s perfect because you can cook both sides without flipping! A little butter and cinnamon for my “syrup” and a side of bacon and I’m a happy girl! That’s a great idea Jackie, thanks for sharing! Make these all the time. 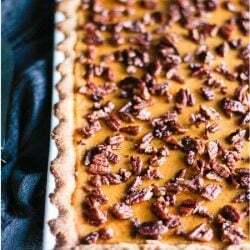 They’re great with pumpkin pie spice (I use at least 1/2 TBS) or with a spritz of lemon juice and some powered Swerve. I’ve also sweetened a little ricotta and blobbed it over the top. Kind of a deconstructed blintz! This will be awesome as soon as I learn to actually turn a pancake over. Tried this for lunch (getting to know keto cooking). Made a complete broken mess of them BUT they were delicious. 10/10 will make again. I have never left a comment before, but found your blog from Pinterest and must say its awesome! I tried this recipe today and LOVED it! I used coconut sugar for the sweetner and blended wth an immersion blender. They turned out great! I’m so excited to have an alternative to eggs! Thanks for taking the time to leave a comment Tara – it means a lot to me that my recipe was your catalyst to blog commenting for the first time! ;) So glad you liked these!!! Who is judging Dana? Why so rude? made a savory version of these last night. instead of vanilla and cinnamon, i subbed in 1/4 tsp garlic powder, 1/4 tsp onion powder, 1/4 tsp oregano and a pinch of salt. spread on some homemade mayo, added a couple thin slices of hard salami and some pepperjack cheese and made some roll-ups. delicious!! next endeavor is to create a pumpkin spice version of these. As an egg hater, I was skeptical that I would like these. But I made them for breakfast this morning and they were wonderful. My non-lowcarb boyfriend gobbled them up, quite happily. I had mine with some Almond butter and they were fantastic. Thanks for the great recipe! thin it a bit with water. I make a triple batch on the weekends and bake them muffin top pans. (Triple batch makes 12 – 4″ pancakes) I bake them at 350 for about 15 minutes. So easy! I’ve never even thought of baking them in a muffin top pan WHICH I HAPPEN TO HAVE! Can’t wait to try it out, thanks for sharing! These were absolutely fantastic. Yes they are on the thinner side, but the taste is spot on. 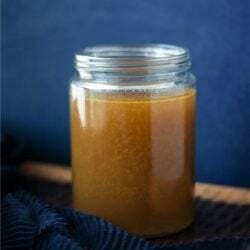 I have some stevia syrup from Natures Flavors that I used on top, it is a lot like Torani. Perfect start to the day with a cup of bullet proof coffee. Holy smokes, these are delicious! I do think it’s important to prevent overcooking them – anything more than golden brown makes them taste a little bit too burnt for my liking. They’re also pretty fragile and difficult to flip, they ended up looking more like scrambled eggs than pancakes for me! I made these today for the first time. I added a spoon full of almond flour. And they taste AWESOME!!!!!!!!!!!!!!!!!! You my friend are a genius! How long would these keep in the fridge? One of my biggest problems with sticking to low carb is my aversion to cooking and the lack of free time to overcome it. I’d love to be able to make x5 the recipe so I’m set for the whole week. Would they be ok in the fridge for the week? I’ve made these before and I love having them with a syrup from Maria Emmerich’s site. It really bumps up the fat and makes it a heck of a lot easier for me to reach my goals. I’ve kept them for days at a time in the fridge and I’ve also frozen them with excellent results! I made these today and LOVED!!!! So thankful! Ok, these were AMAZING! I scarfed them all down. They taste like french toast! Love love love them. These will get me through my last day of the egg fast tomorrow! Thanks for the recipe. For you living in Italy (or elsewhere) : this definitely works with mascarpone! I also did an experiment and added some cocoa powder to it,they were yummi! 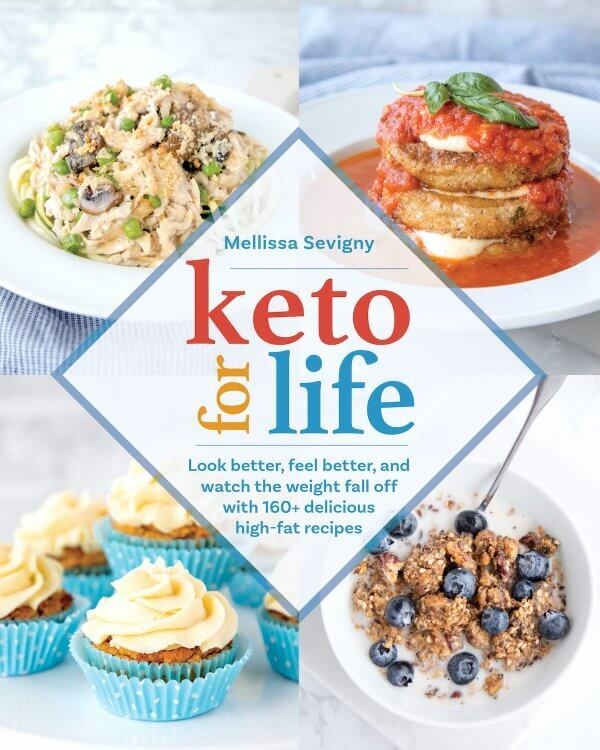 Hi Mellissa, I am new to this whole low carb thing (like this week new), and was very skeptical when my trainer told me I must change my eating habits. I found your recipe on Pinterest and decided to give it a go. I read all the different “tweeks” others made and put some of them together, (I really wanted fluffy). I made a large batch (for several people to give them a try), and they were fabulous. I used an 8oz container of Strawberry cr. ch. 4oz. plain, 5 eggs separated, 1 tsp. cinnamon, 2 tsp. baking powder and 4 scoops of Chocolate flavored protien powder. OMG!!! I plan to add some fresh fruit “syrup” next time. I will be taking a taste to my personal trainer later today. So excited, I think he will love them! BTW, because of the added chocolate, I’m thinking they will make a great dessert. Thank you so much, can’t wait to try your other recipes. I found this blog because of this recipe! My family needed something new and I (being pregnant) NEEDED pancakes! I saw how simple it was and I already had everything so I said why not (after my failed attempt with coconut flour donuts and pancakes). My family went bananas for them!! I then started playing with the recipe as if they were crepes. It is now a staple in our home! I tried reading through the comments for an answer but there are just too many. Hopefully this isn’t a duplicate question. So, for this recipe how many do you eat. It says it will make 4 but the serving size is 1. Do you really only eat 1 I think I would be starving still since they are pretty thin. I want to start your 3 day keto and am just wondering how many of these to eat for breakfast. On the 3 day kickstart you can eat as much as you want until you are full! After that, it’s generally 2 pancakes for a serving, but it’s really as much as you want that fits into your calorie budget for the day (if you’re counting). That’s why I list the nutrition info for 1 pancake – you can multiply it by as many as you end up eating! Hope that helps! Enjoy! Thanks so much for your reply. That is helpful to know. :) I was thinking 1 pancake just wasn’t very much. Thanks for all your hard work. You really are generous to share all these meal plans! Hi Lorey, hope you’re still with us! I laughed when I read your comment about not leading to list bourbon as optional – you’re my kind of gal! ha ha! I have been just about living on the wraps as you described, though like mine with mayo instead of ranch dressing – or maybe blue cheese dressing – mmmm! Thanks for the comment, did you end up starting the weekly plans after the kickstart and if so how are you doing???? These are DELICIOUS. I’ve eaten them cooked in butter and plain (yummy), with a tiny bit of SF syrup (yummy), and as a wrap with turkey, spinach leaves, mayo & mustard (was skeptical about this one but is was delicious). After seeing a Denny’s commercial for cream cheese crepe’s, I got the idea to make these and roll them around some cream cheese with a touch of SF preserves. Thank you, Melissa, for yet ANOTHER excellent recipe! How can two ingredients come together in such a blissful way?! Eggs and cream cheese are *officially* married in my mind. Thank you for everything you do to make low-carbing so awesome. You’re the best. The flipping best! I love, love, love these pancakes. I may even be a bit addicted to them now. My husband, on the weekends, often make my kids swedish pancakes (made with flour) which are a lot like a crepe. I made him these this weekend since we are trying to get rid of carbs and he loved them…they are so close to a swedish pancake…it was an amazing substitute. I have a recipe for a pancake that uses similar ingredients but also has flax and almond flour…which is a really good recipe but this one was so easy and so delicious I think it now my go to pancake. I LOVE swedish pancakes!!!! So glad that you guys felt these were right up there with them! Thanks for taking the time to let me know! Your welcome Dawn, glad you are enjoying them!!! Glad you liked them Lisa – it’s crazy chemistry magic, isn’t it??? I’m sorry you find that confusing, but it says right above the serving size of one that the recipe yields four 6 inch pancakes. So simply divide by four. Not everybody gets 4 small pancakes per batch every time though. Sometimes I make two really big ones, sometimes I get three medium, etc. So for me to change it to calories per pancake when every person makes them different would, in my opinion, be even more confusing than posting it per batch and letting each person do the math depending on how many pancakes they get out of one batch of batter. 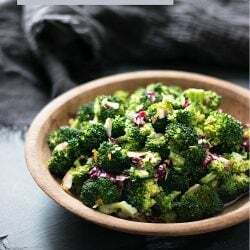 I found this recipe while doing a low-carb recipe search on PINTEREST. Read all the feedback, the successes and the failure, this morning was the day I decided to give it a go!! I’m so glad I did, reminds me of French Toast! Didn’t have any SF syrup so I mixed up butter, cinnamon and Splenda OH MY GOODNESS, or as we say in the South THANK YOU JESUS!! They are delicious glad I am home alone, no need to explain or SHARE!!! You just found a new follower, keep ’em coming Thx!!! I’ve been doing Atkins for 3 weeks now and I was getting really tired of eggs so I decided to look up LC breakfast ideas on here. I just finished eating these pancakes and OMG & couldnt eat them fast enough! I kept saying to my kids OMG these are so good, they just laughed at me. I added a little vanilla to the mix. These are delicious. 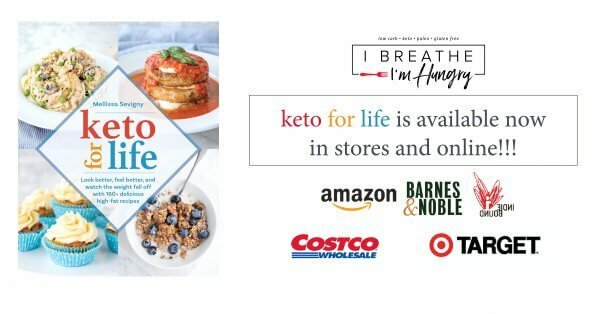 Thank you – I am so glad I bought your cookbook. I had better luck with Splenda since the stevia had a chemically aftertaste. Do you have any suggestions for how to make them easier to flip – I found them very crumbly & hard to handle, so made dollar pancakes instead of the nice big ones in your photo. These Freeze very well! Just wanted to mention that. In about 30 seconds a stack of three will come back to life. I made these today and they were AMAZING!! I do low carb and my toddler refuses to eat eggs. I think it’s a texture issue with him so these worked great for both of us!! Thank you!! Peace and Love!! You’re welcome! My five year old has been eating them for years and he loves them too – especially with strawberries! Just tried these for the first time. My husband was so amazed. We’re pretty sure we like these better than regular pancakes. I skipped the Stevia and added a bit of vanilla instead. I am on my second week of low carb and get downright angry at the thought of eggs for breakfast. Found this recipe on pinterest and tried them this morning. ZOMG YOU ARE MY NEW BEST FRIEND!!!!! Delicious, and I can’t wait to try some of the variations listed in the comments. egg taste at all, I may have used a bit more cream cheese I didn’t really measure. I will definitely make sure to have cream cheese on hand more often now! Thank you for sharing your recipe! I think I will try to make them like a wrap style crepe next time and stuff done with savory goodness. Glad they passed the kid test for you Jessica, my son is five and he loves them too! I use them as wraps all the time and it works great! Enjoy! I’m not an egg eater. I can eat quiches, breakfast casseroles, and egg scrambles with A LOT of things mixed in to hide the egg taste, but if it tastes like plain scrambled eggs, then I am likely to gag. Going low carb has been easier than I thought it would be, but I now crave things that I didn’t really eat before. The closest IHOP is 400 miles away, and I’ve been wanting pancakes ever since going low carb. I used to eat pancakes about 3 times a year, but now I dream about stacks of fluffy goodness slathered with real butter and thick, gooey, syrup cascading over the side of a mile high stack. Like a petulant child,I don’t like eggs, I don’t like cinnamon, and stevia in the tiniest amount is overwhelmingly sweet to me. I love cream cheese though! Like the cooked spinach, brussels spouts, and beef liver of my childhood, I looked at this recipe with much trepidation. How can cream cheese and eggs combine to taste like America’s most beloved, highest carb, Sunday breakfast standard? To make my first batch, I only used 3 eggs to 4oz of cream cheese, blended it straight from the refrigerator in the Vitamix on variable speed setting 4 for about 2 minutes, then poured it,a quarter cup at a time, into a hot greased skillet (sprayed with Pam) and cooked it. No cinnamon or stevia for my snobby palate! The surface bubbled and dried like a regular pancake, and when the edges started to brown, I flipped the thin pancakes over and cooked the other side for maybe 90 seconds. They came out of the pan just like a regular pancake. Normally I would have slathered them with butter and coated them in Log Cabin Original syrup, but I just knew that between the eggy taste of the batter and the Sugar free Login Cabin syrup (8 carbs per 4oz) that had sat in my pantry for the last 6 months, unopened, that I had wasted my money and would be throwing the whole batch away! How could just eggs and cream cheese taste anything like pancakes? I don’t know, BUT IT DOES TASTE LIKE PANCAKES!!! I cooked a couple of slices of bacon, and sat down to a breakfast fit for a queen! Afterwards, instead of laying down for a high carb induced nap as per usual, the hubby and I have enough energy to take a walk and watch the fall leaves blow off the trees. Thank you so much for sharing this, and so many other recipes, with all of us out here trying to have healthy, active, longer life! Made these this morning!! Amazing. I baked an apple in the oven with cinnamon, stevia, pecans a tsp of butter and poured the topping (including the juices) on top of the panackes. I’ve been doing Low carb for about 6 months and have missed pancakes so much. Not anymore!!! I am 3 Weeks into my new low carb//wheat free lifestyle. I made these this morning for myself and my 9 year old son, and we were both in heaven. I cooked down some fresh peaches with cinnamon and served that on top. Absolutely delish, cant wait to try some of your other recipies. Thank you for sharing. YOU ARE AMAZING! I love this blog!! It has inspired me to get my buns back on track and do the low carb thing again. I made these this morning and topped them with butter, peanut butter and a tab bit of sugar free choc syrup. UM YUM! YAY! 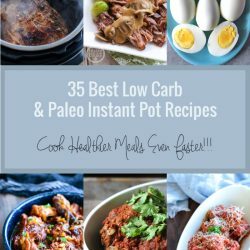 I cant wait to try every one of your low carb recipes! !